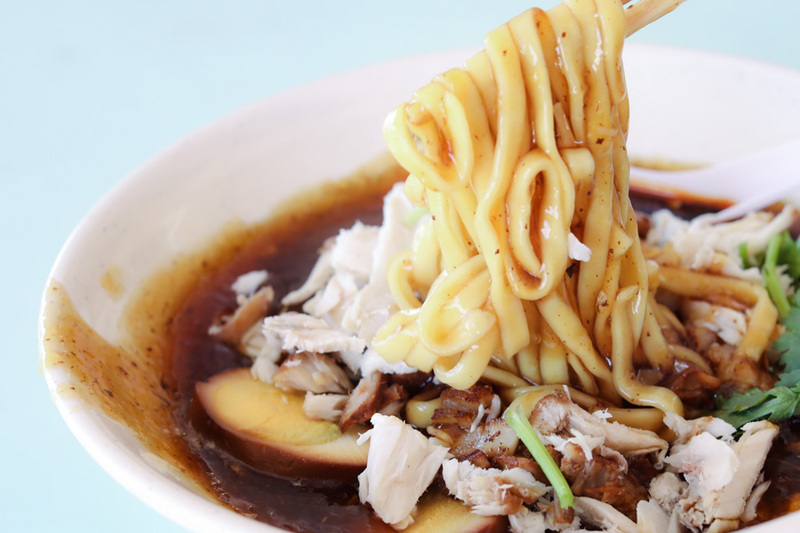 Lor Mee 卤面, the Hokkien-based gooey-gravy hawker food with thick-flat yellow noodles may not be everybody’s kind of dish. Some say starchy, filling, and somewhat plain. But find a good bowl, and it can be a comforting and satisfying treat. 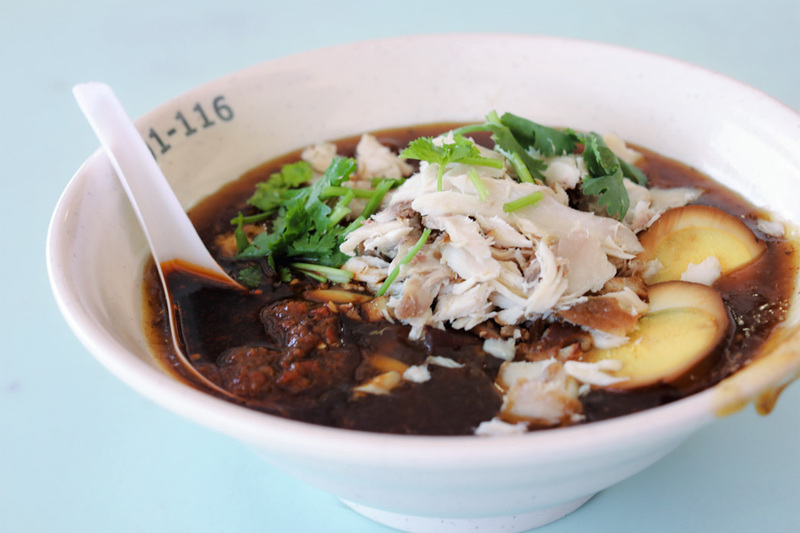 I am not that much a Lor Mee person as well, but after trying Xin Mei Xiang Zheng Zong Lor Mee 新美香卤面, I may just be a convert. 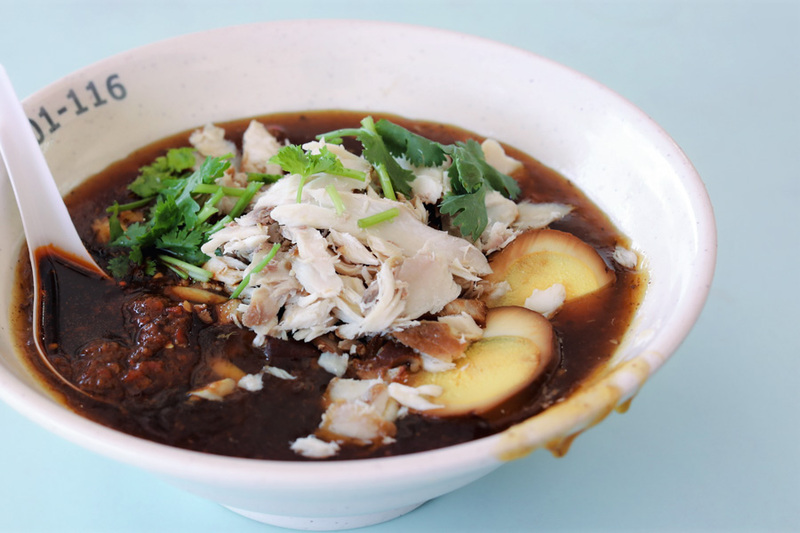 This popular stall along Old Airport Road is often lauded for its Lor Mee done right. 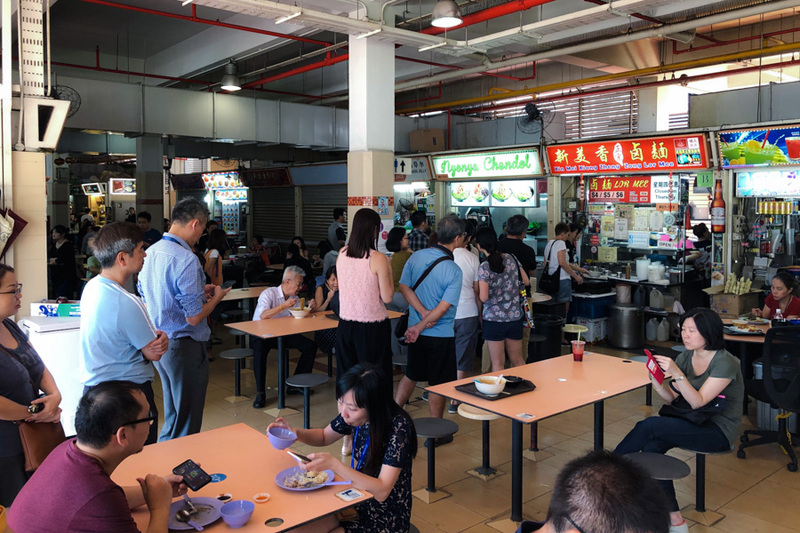 Located near MRT Mountbatten or Dakota MRT Station (Circle Line), Xin Mei Xiang Lor Mee attracts queues of diners eager to taste and re-taste their famed Lor Mee. Especially during peak hours, you could spot the line even from the main road. 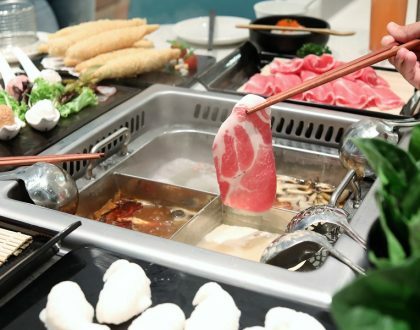 Aside from the recognition it received from the Michelin Guide (it has a Michelin Plate), another feather in its cap is the Ctrip Gourmet List award. 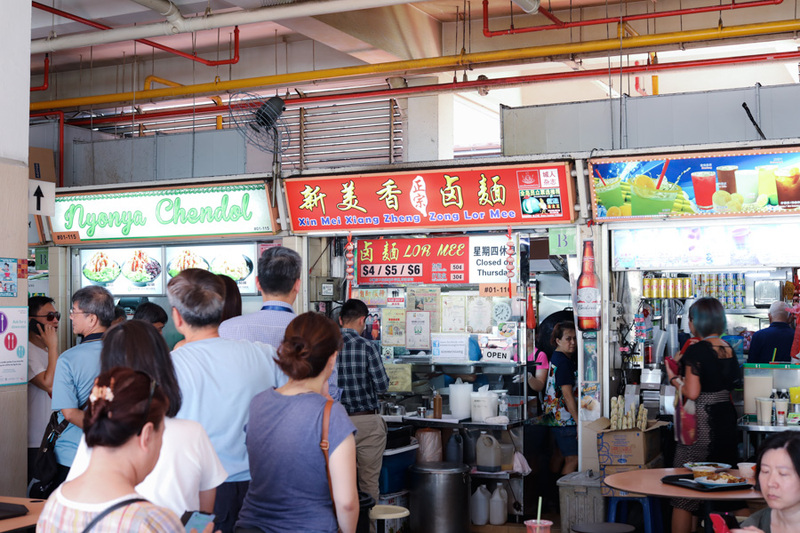 It was also awarded as People’s Choice for Local Food during the City Hawker Food Hunt in 2018. 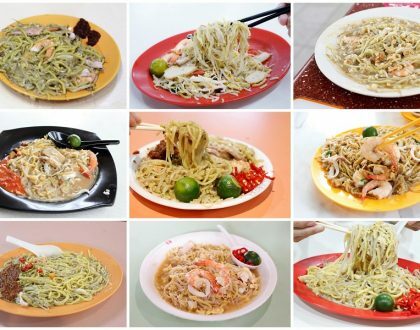 I remember it winning (back in those days) the “Best Lor Mee” in the Kym Ng hosted “Just Noodles 面对面” on television. 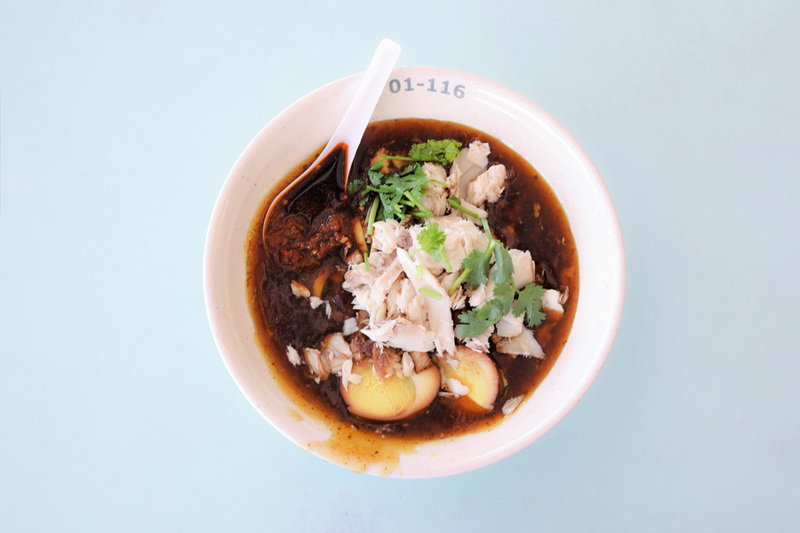 The line does get very long during peak hours, with estimated wait of about 20 to 30 minutes, and bowls can be sold out before closing hour. 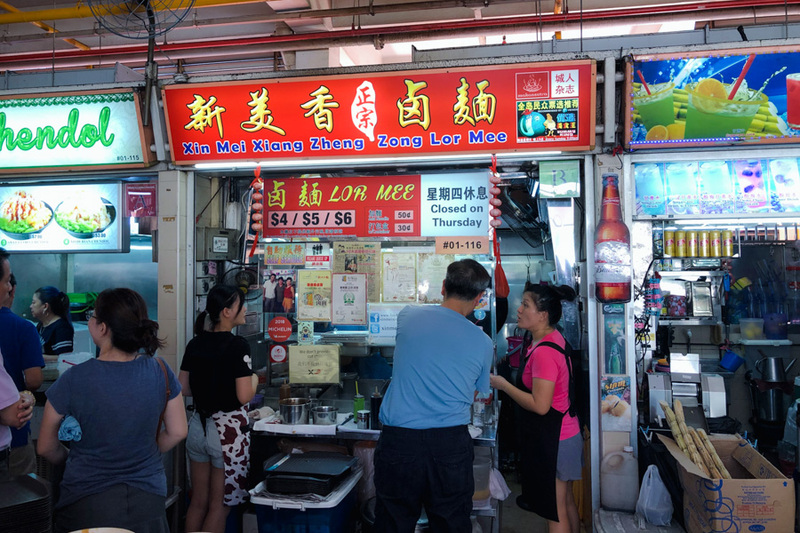 Ah yes, there is another similar-sounding Xiang Ji Lor Mee (#01-81) in the same food centre, if you happen to crave and Xin Mei Xiang is closed. 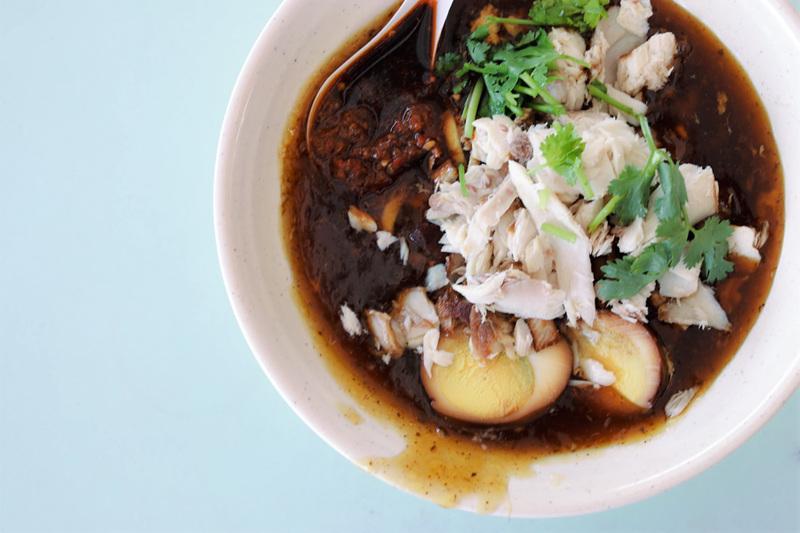 What’s noteworthy in their Xin Mei Xiang’s Lor Mee ($4, $5, $6) is its generous serving of ingredients – you get your money’s worth. 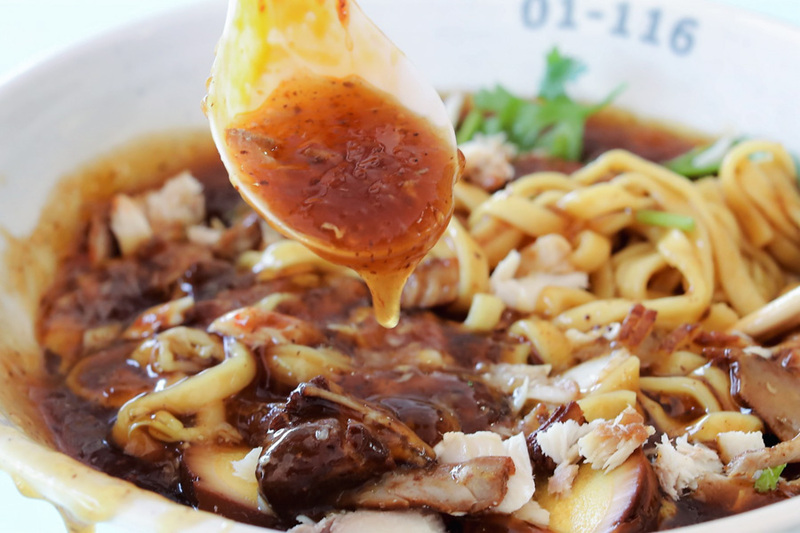 The sauce, a key element in a good Lor Mee, was quite unlike any others I had before – thick and flavourful as it was prepared with five-spice and other seasonings. The balance of being vinegary and spicy was done just right. I never intended to finish that sauce but I did anyway. While some customers may feel it is on the plain side, it was not as starchy and didn’t give me that uncomfortable-filling feeling. 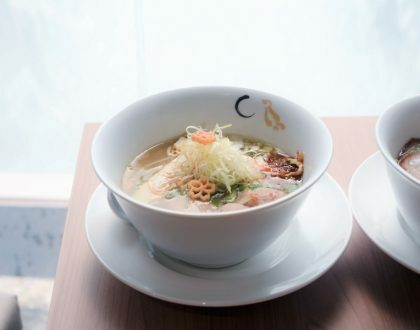 Unlike the medium and large bowls, the small bowl is served without flaked fish. If you like the pan-fried fish (I think it is red snapper) in your Lor Mee, for the bigger bowls. If you want to add noodles ($0.50) or ingredients ($6.00), you can. Pay a little extra for take away containers ($0.20 for small, $0.30 for big). A word of caution though, if you are planning to visit this stall, do check out in advance its Facebook Page as their schedule could be erratic at times.